If you’re looking to shake up your fitness or take on a new challenge, working with a personal trainer can be a great way to get started. 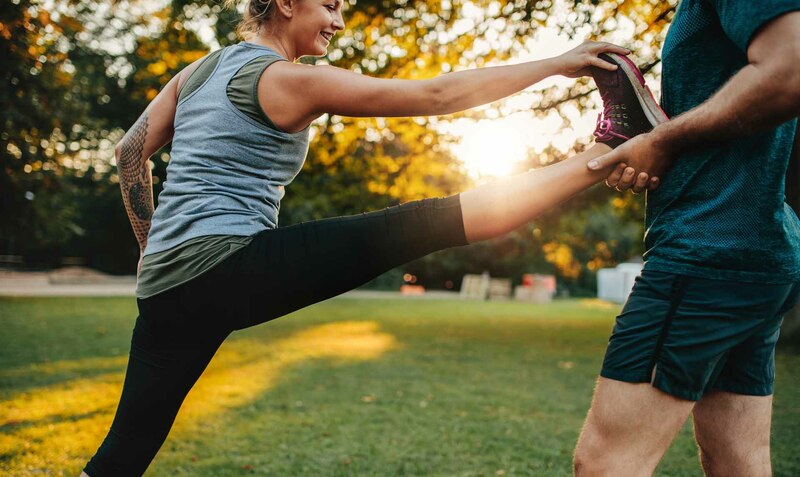 Michael Cunico, National Fitness Manager at Fitness First, shares some tips for getting started with the right personal trainer. The main benefit of a personal trainer is supporting and maintaining behaviour change, which we all know is very difficult. Working with a personal trainer can motivate you to take your body to places you never thought it could go. This could mean a variety of things depending on what you personally are trying to achieve. Two times bodyweight squat, why not? Survive a trek to Everest Basecamp, outstanding! Or simply to have the mobility to play in the back yard with your children. A good personal trainer can help you unlock a level of performance that you thought may not be available. Program design is a real art form which good trainers pride themselves on. Overall, at Fitness First we really encourage our clients to embrace the holistic benefits of fitness and this is always incorporated into our training programs. What are some tips for choosing a personal trainer? Your relationship with your trainer is a very personal one, so you need to work with someone who you trust. Trust for me is: does this person stand behind what they say? When they say they will send me some information, do they do it? Are they respecting me and my time by always being on time and prepared? Are they listening to what I am saying and what my goals are? Treat it like any other important working relationship and use the same benchmarks to decide whether you want to work with this person long term. This can vary a lot, and there is no wrong or right here. One element I would hope is fairly consistent in an initial consultation is a thorough ‘get to know you’ time. This is beneficial for both parties, as the trainer can ask themselves, “Can I see myself working well with you?” And as a client I’d ask myself, “Am I feeling comfortable discussing my vital information with you?” This shouldn’t be a rushed process. The next step would be some sort of assessment. This could include movement capability, strength, cardiovascular and any other variables, depending on individual goals. Different trainers gravitate towards different types of assessments. Having a starting point can help show progress and validate the hard work a client is putting into their training. Depending on time, this may well happen in the second session. 30-year-old Kate is a new convert to the benefits of personal training. Here's what she's getting out of the experience. Why did you decide to see a personal trainer? It was a combination of two things. The first was an injury. After a run one day I felt an excruciating pain shooting up my right knee. It turns out I have a lazy glute, which meant when I ran, my knee muscles picked up the slack. So too much running equalled inflamed (very sore) knee. It was this, coupled with turning 30, that inspired me to get strong. And given I knew nothing about that, I went looking for someone that did. How did you go about choosing a personal trainer? Exercise and convenience come hand in hand for me. If I’m going to the trouble to break a sweat, it needs to slip into my day ‘painlessly’. And that means no burpees in dark parks on sludgy grass. I wouldn’t know where to look for a trainer online, but I do know they hang out at gyms. So it was pretty perfect when I discovered a gym downstairs from my office. The whole thing was simple, I headed into the gym and told the staff “I’d like to get strong but not bulky”, and they matched me up with a trainer the following week. I had no idea what to expect of my first session – I’d never set foot in a gym before – but it was great, a lot of listening and not much doing, like an induction. My trainer sat me down and we discussed past injuries, current diet, daily exercise, what my goals were, how often I’d like to train – that sort of thing. He did a basic physical assessment to check body alignment and areas of past injuries. And then we discussed the plan going forward. I felt pretty revved up about the whole thing. How have your sessions benefited you? I’m a month in and I feel fantastic. I’m feeling much stronger, and can see the difference. My eating habits have also shifted for the better, which I never thought I’d say given I’m self-declared health freak. I’ve learnt what to eat, when, and how much, depending on when I train. It’s a science, really. What advice would you give a friend who was interested in trying some PT sessions? Go for it! And don’t be afraid to try weights. If you’d told me a month ago I’d be doing bench presses each week, I’d never have believed you.